Digital printing allows for greater flexibility and a speedier turnaround time than traditional printing methods, making it an excellent option if you’re dealing with variable data or tight deadlines. At Nahda Printing Press, our state-of-the-art digital printing services make it easier than ever to get quick, customized results. 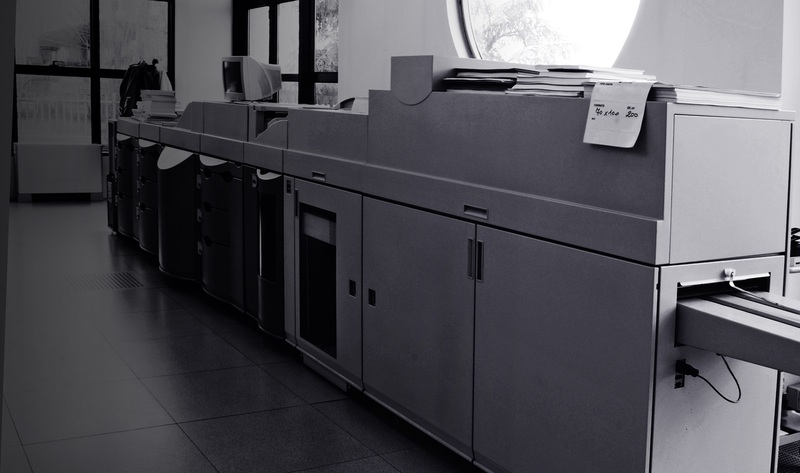 What if your printing job requires inputting different information into each printed copy? Whether you need personalized marketing materials, customized envelopes, or even distinct barcoding or serial numbers, Nahda Printing Press’ digital printing capabilities allow for each copy of your printed materials to be carefully customized, without slowing down the printing process. With our variable-data digital printing services, you can incorporate custom-made, bespoke designs and text into any of your printed materials. We use secure data servers to process and protect your raw data, while allowing you to track your order through our advanced workflow software. Our variable-data printing services are especially useful for printing and finalizing mailing materials, such as personalized letters and envelopes. Nahda Printing Press even offers a wide range of dedicated mailing services, including selective gathering, folding, and insertion of all documents; envelope sealing and postal franking; and even selective sorting to prepare your mailing materials for delivery. Ultimately, you’ll save valuable time and resources, allowing you to do business more efficiently than ever. At Nahda Printing Press, quality and speed aren’t mutually exclusive: they go hand-in-hand. When time is of the essence, you need to make sure that your work is done right the first time, and the professionals at Nahda have the tools, resources, and expertise to deliver the finished product you deserve. Through our new Express Digital Printing services, we can meet an extensive array of printing needs in lightning-fast time, with no minimum quantity required. Our Express Digital Printing department can produce everything from roll-up banners and personalized projects to AutoCAD prints and plastic ID cards, working with a wide variety of materials and finishes, including canvas, tear-resistant film, anti-scratch coating, lamination, and even outdoor-quality materials that are sun-proof and waterproof. By employing the most advanced digital printing technology – such as our eco-friendly latex printers and inks – we can deliver exceptional finished products in as little as half an hour.